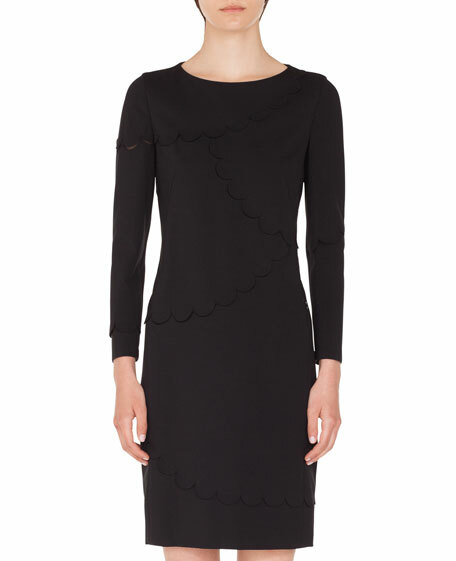 Halston Heritage asymmetrical neck mini dress. Straight hem hits at knee. Hidden back zip/hook and eye clasp. 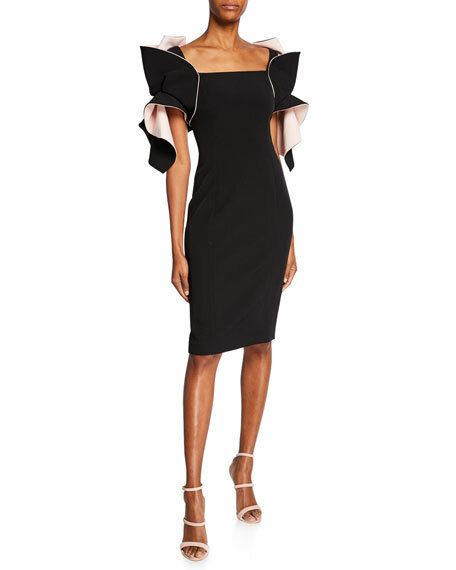 Badgley Mischka Collection two-tone organza dress with origami ruffle detail. Square neckline. Sleeveless. Contouring seams. Sheath silhouette. Knee length. Vented hem. Back zip. Polyester/spandex shell and combo. Lining, polyester. Dry clean. Imported.